If you are a firefighter under investigation by the California Emergency Medical Services Authority or a local EMS agency, you have additional procedural protections under the California Firefighters Procedural Bill of Rights Act. Professional license defense attorneys at Rose Law are experts in the Firefighters Bill of Rights Act and applying this law to help defend your EMS license from revocation, suspension, surrender, or other discipline. In 2007, the California Legislature adopted Assembly Bill 220 enacting the Firefighters Procedural Bills of Rights Act (“FBOR”), which guarantees various rights to firefighters. The FBOR is codified at Government Code sections 3250 – 3262 and establishes specific requirements for administrative investigations and discipline of firefighters. The FBOR is largely modeled on the Public Safety Officers Procedural Bill of Rights Act (“POBR”), which is codified at Government Code sections 3300-3312 and was first enacted over 30 years ago in 1976. The Legislative Counsel’s Digest for Assembly Bill 220 speaks to the relatedness between the PBOR and the FBOR by expressly referencing the PBOR in its opening paragraph. As well, the FBOR requires under Government Code section 3254.5 that an employing fire department’s administrative appeals procedure for its firefighters conform to portions of the Administrative Procedure Act (APA) beginning at Government Code section 11500 et seq. 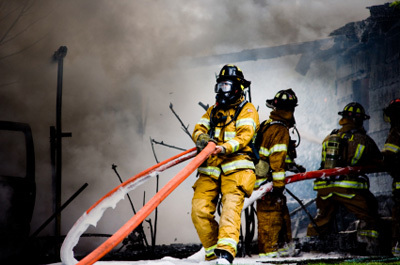 The rights and protections of the FBOR apply to a firefighter during events and circumstances involving the performance of his or her official duties. The FBOR makes unlawful at Government Code section 3260, subpart (a), the denial or refusal to any firefighter the rights and protections guaranteed by the FBOR. The FBOR provides at Government Code section 3260, subdivision (b), “[t]he superior court shall have initial jurisdiction over any proceeding brought by any firefighter against any employing department or licensing or certifying agency for alleged violations of [the FBOR].” Upon a finding by the superior court that a fire department, its employees, agents, or assigns, maliciously violated the FBOR with the intent to injure, the FBOR authorizes at Government code section 3260, subpart (d), imposition of a twenty-five thousand dollar ($25,000) civil penalty for each and every violation and for reasonable attorney’s fees. On September 30, 2010, Governor Schwarzenegger signed Assembly Bill 2331 into law, which amends the Firefighters Procedural Bill of Rights Act to permit appeals procedures that are agreed upon between labor organizations and fire agencies as a part of the collective bargaining process. Under existing law, appeals procedures for California firefighters must conform to provisions of the California Administrative Procedures Act (APA) beginning at Government Code section 11500. The APA mandates a hearing before a quorum of the governing body of the administrative agency or an administrative law judge (ALJ), specifies certain notice requirements, provides for some prehearing discovery, and specifies many other procedural rules. Many existing grievance arbitration and disciplinary appeals procedures contained in memorandums of understanding and collective bargaining agreements between firefighter union locals or associations and fire departments do not meet these requirements, but are nonetheless considered sufficiently protective of firefighter rights by both labor and management. For example, final and binding private arbitration does not necessarily conform to all requirements of the APA, but is generally viewed as procedurally adequate. Under AB 2331, beginning January 1, 2011, appeals procedures that are mutually agreed upon as a part of the labor-management negotiations process but do not necessarily conform the APA are still considered legally sufficient under the FBOR. This legislation amending the firefighter appeals procedure requirements contained in the FBOR was sponsored by the California Professional Firefighters (CPF). characters below into the box. Flags to be flown at half-staff for Montana's firefighters KPAX-TVYour browser does not currently recognize any of the video formats available. Click here to visit our frequently asked questions about HTML5 video. South Dakota firefighter dies while responding to wildfire Sioux Falls Argus LeaderA volunteer firefighter died after suffering a medical issue while responding to a wildfire in western South Dakota on Wednesday.